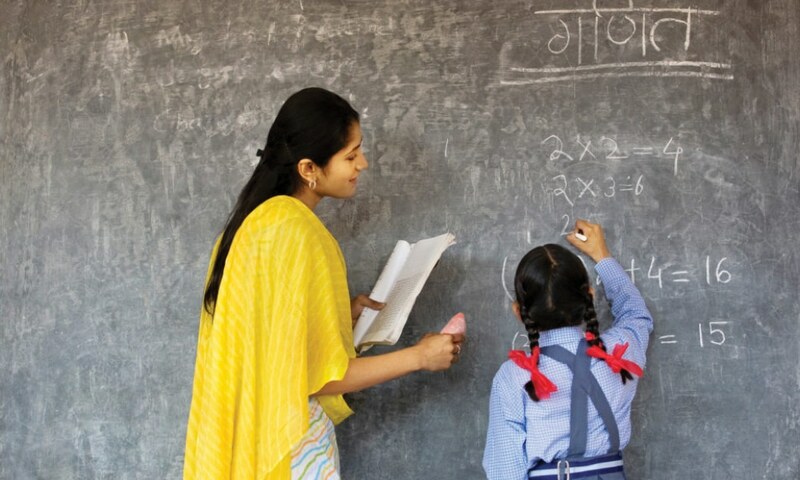 The education segment of the country is in a transition stage with a large number of schools adopting finest teaching-learning practices from across the world. Akash Tomer of Elets News Network (ENN) tries to explore the practices that are improving and enriching educational experience in Indian schools. Whether it’s about bringing continuous improvements or complete transformation, the goal of education has largely been the same – creating a bright future with newer practices. Today, students and their parents wish to have an educational experience that not only caters to individual needs but it also paves the way for being future-ready. It should also ensure that the students get connected to what is happening around the globe. To meet these expectations, developing innovative teaching and learning methodologies seems a necessity. For every educational institute, there is a need to develop an exciting, challenging yet rewarding learning environment. Looking at the existing scenario in big cities, students’ world of imagination is full of numerous ideas and mobility. A guided access to knowledge as per their requirements can help them acquire knowledge beyond boundaries while enabling them to compete globally. It looks as if the education must be delivered with integration of Information Communication Technology (ICT) and in ways that are compatible with and supporting their worldview. So, it is not only about improving the education delivery methodologies. Rather, each and every education stakeholder needs to have a bigger ambition of revamping the education sector. Also, we have the opportunity to involve families and communities in the way young people learn because learning forums are so much more open, transparent and collaborative. Today, technology can be used more creatively. It should not be only limited tothe classroom walls, but something which should lead to innovative ways of learning the required skills. Innovative methods need to be unique. Be it for continuously improving existing practices or changing the way we achieve goals. Open lessons: These are 45 to 60-minute lessons which have come into the practice in different parts of the world in recent times. It has compelled teachers to execute their lesson plans with precision before the school is over for the day. Increasingly, however, schools are moving away from this concept and instead embracing the idea that a lesson can be learnt in many ways: organic or structured, long or short, based within or beyond school premises. Modern-Day classrooms: In an age, where we are surrounded by information, the concept of walled classroom is no more the ideal option to propagate education everywhere. The classroom concept was only applicable when teachers were the students’ most accessible and the only source of information. In an age of wireless internet, perhaps traditional methodology of having classrooms with rows of benches and chairs is fast turning obsolete. But it cannot limit the role of teachers. Now the teachers are meant to guide, discuss and measure the progress of students. Nowadays schools are designing classrooms which can easily and effectively impart education. Personalised learning: Today, every student has special educational needs and their problems need to be addressed in a unique but personalised way. After understanding students’ problems, teachers must be able to tackle it on their own. But the teachers should respond as per students’ needs. Though good teachers have always taken note of it, the structure of conventional schools limits the extent to which they can personalise learning. In most of the schools, students study similar things. What is personalised generally is how much they are expected to understand. This has happened because when a teacher is presenting material to a big class, and then personally gauging how much of it an individual student has learnt, there is not enough time to provide each student a tailor-made learning course. However, this has started to change, partly (though not entirely) because of digital technology. “AltSchool is a complete departure from traditional education, shirking the standard testing model for a curriculum that improves technology skills and gets kids thinking flexibly so they can adapt as the world changes. Established in San Francisco in 2013, it educates kids aged 4 to 14 and is now expanding to Brooklyn, New York, and Palo Alto, California. Launched by visionary Gever Tulley in 2011, Brightworks takes some of the most dangerous things parents tell their kids not to do and makes an entire curriculum out of them. Kids in grades K through 12 get dirty, play with fire, take apart home appliances, and complete art projects all in the same day. The Carpe Diem school looks more like an office building than a classroom. Inside the main room, known as The Learning Centre, there are 300 cubicles (one for each student). These cubes house a computer that guides the student through his or her education. It’s a model that has paid off big time in the handful of Carpe Diem schools, which go from grades 3 to 12, across the US. Innova is Peru’s response to failures in standardised education in the country. The school combines several different forms of instruction — tech-heavy online learning, guided lessons, group work — in a setting that was designed to be modular and adaptable to the location. Creativity is king at Blue School, founded as a playgroup in 2006 by the Blue Man Group. As part of the curriculum, kids in grades 2 to 8 come up with ways to improve recycling, create 3D models of New York City, and fix home appliances. They gain an intimacy with real-world problems that few kids are exposed to when learning their times tables with flash cards. In-demand jobs are hard enough to find, especially for people in low-income areas. But those are the people Samaschool wants the most. The school gives adults, struggling to find employment, a leg up with an education focused on the digital and entrepreneurial skills necessary in today’s market. Students can choose between the 10-week course, lasting 80 hours, and the online course, which takes between 20 and 30 hours. Though it’s headquartered in New York City, THINK Global School is a high school without walls. Students spend each semester in a different country, learning about local culture, studying natural sciences, and reading classic literature from the area. Tapping into students’ digital expertise: Imagine you have been given an urgent task at work, requiring a bit of research, but you have just 60 minutes of computer access today, and it doesn’t begin for another four hours. You have a smartphone. But you’re not allowed to use it in the building. What would you do? It is obvious that any professional work produced in this context would be lacking depth and accuracy. Assessment matters. What we choose to assess inevitably determines what is taught. And how we assess it influences how we teach it. Therefore, the question that every educational system must ask is, are we assessing what we want students to be able to do once they finish school? Technology has revolutionised our relationship with information in the real world, and we take for granted our ability to access it anywhere, anytime. This is even more integral to youngsters’ lives who are growing up in the shadow of fast changing technology. These skills can be put to use in classrooms: the days of IT as a discrete subject, taught at designated times in computer laboratories, are numbered. Get real with projects: Today, a rising number of young people are learning by doing projects that require them to carry out research across all the subjects, create a professional quality product that demands multiple drafts, and publicly present their work to peers, their parents and rest of the world. Expect (and help) students to be teachers: The job of a teacher is a challenging one, encompassing a diverse range of roles and responsibilities. But this does not mean that teachers have skills and qualities that belong exclusively to them: students, too, have long been informally inspiring, advising, supporting and offering a listening ear to their friends and classmates. Indeed, schools are beginning to recognise the potential of harnessing and developing these assets in order to help students to work in complementary ways alongside teachers, enabling them to play a more active part in shaping their own education and that of their peers. Help (and expect) teachers to be students: The challenges of the 21st century place demands on young people to be good learners. They need to be resilient learners, able to make mistakes and learn from them. To be independent learners, willing to take ownership of their learning. And to be flexible learners, ready to use different learning strategies to navigate and adapt to a rapidly changing world. If students are to achieve this they must have effective ‘teachers of learning’, who fully understand the process of learning – and the best way for teachers to achieve this is to become learners themselves. Measure what matters: Assessment matters. What we choose to assess inevitably determines what is taught. And how we assess it influences how we teach it. Therefore, the question that every educational system must ask is, are we assessing what we want students to be able to do once they finish school? If we want students to leave school prepared for adulthood, we need to make sure they have experienced and mastered the skills they will need in a context that accurately reflects the world outside the school walls. Work with families, not just children: Today it is well recognised that involving parents in their children’s education can be vital – there is a strong association between family involvement and student achievement. Many schools are recognising the need to work with parents in a variety of ways to help their students be the best they can be. And some schools are going much further, finding holistic and innovative approaches that form bridges between the school and the community. Empowering student: ‘Student voice’ – that is giving students the opportunity to have a say in issues that affect them, has come a long way since the experiments of a few radical schools in the 1970s. Many schools now boast student-led School Councils, for instance. One might argue that students have more control over their education than ever before. However, it remains the case that very few students are involved in key strategic decision-making in their schools, and fewer at a regional or national-level.